Drought affected many countries in the region in November and December 2018, compromising food production, while localised floods hit Malawi. In Angola, Botswana, Eswatini, Lesotho, Malawi, Mozambique, Namibia, South Africa and Zambia, poor rains hampered the planting of crops and threatened to undermine the upcoming harvest. South Africa – the region’s largest maize producer – reported significantly below-average rainfall, while Eswatini and Lesotho reported reduced staple crop outputs due to dry conditions. 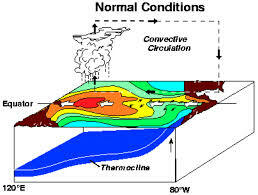 There remains an 82 per cent probability of an El Niño phenomenon occurring from January to March, which could compound the situation. In the meantime, while most parts of Malawi registered below average rainfall, heavy rains hit four districts in December 2018 – Balaka, Phalombe, Mangochi and Mulanje – causing riverine and flash floods. Over 11,000 people were affected and around 1,400 were temporarily displaced. An escalating measles outbreak affected over 18,000 people in Madagascar, with more than 12,000 cases registered in December alone. At least 65 of the country’s 114 districts were affected, with low immunisation coverage contributing to the fast spread of the disease. Separately, the number of suspected plague cases in Madagascar rose from 103 at the end of October to nearly 150 at the end of December. Meanwhile, Zimbabwe managed to control the main cholera outbreak in Harare. However, a new outbreak was declared on 24 November in Mount Darwin District, with around 230 cases registered by the end of December. In Tanzania, around 380 new cholera cases were reported in November and December, most of them from a new outbreak in Momba district. 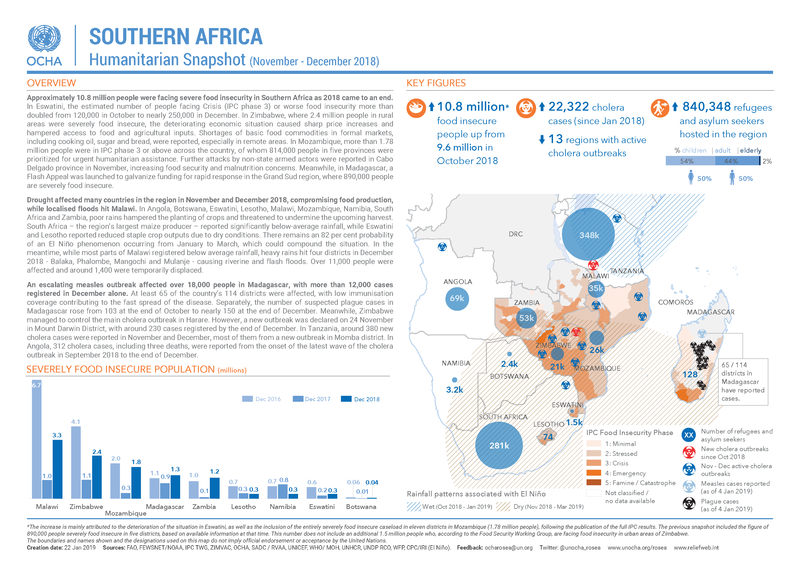 In Angola, 312 cholera cases, including three deaths, were reported from the onset of the latest wave of the cholera outbreak in September 2018 to the end of December.